We are proud to offer the latest incentives from Mercedes-Benz on New Vehicle Specials, and Lease Renewal Offers. These like-new vehicles were in our Courtesy Vehicle Fleet for less then 90 days and all have low miles. Our dealership wouldn’t be complete without our certified and master-certified Mercedes-Benz technicians. Excellent sales representatives. Very professional and welcoming. Work hard to provide A1 service. My family and I had a great experience . Alexander in sales treated us with respect from the beginning to end. The staff are very professional as well. A big thank you to Mercedes-Benz of New Rochelle. I needed a service A for my truck and I was immediately greeted. It was my birthday and bradly. ( who is in service department) made sure my car was serviced immediately he is the absolute best and a great representation of Mercedes Benz. It is always a pleasure go to Mercedes Benz of NewRochelle all the workers are super polite and cordial the attention is always excellent. Erika Owens. While we specialize in Mercedes-Benz C-Class, E-Class and GLE models, we maintain a rich inventory of new S-Class and pre-owned M-Class models, among others. Our knowledgeable staff members can also guide you through your multiple First Class Lease or ownership options, including Mercedes-Benz financing and the Rising Star College Graduate Program. We can also provide you with information on our multiple Mercedes-Benz new car special offers, pre-owned special offers, Mercedes-Benz Fleet Program Benefits and even parts, service and accessories specials. There are so many perks to being part of the Mercedes-Benz of New Rochelle family; stop by to experience a different auto-buying atmosphere and attitude towards Mercedes-Benz sales. With nearly 50 years in the business, we pride ourselves on being experts in both automotive and customer service. 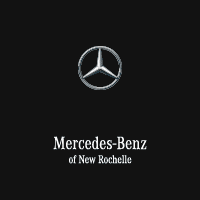 In addition to providing the Tri-State area with world-class automobiles and life-long service, Mercedes-Benz of New Rochelle is an active member of the surrounding communities. We regularly sponsor and support local events and organizations, like the New Rochelle Boys and Girls Club, Wounded Warriors and the New Rochelle Police Foundation. As a proud member of the Pepe Auto Group, we’ve also participated in giveaways and local car shows, like the Scarsdale Concours d’Elegance. We consider it part of our duty as a member of the New Rochelle business community to both give back to and engage our valued Mercedes-Benz family members across the Tri-State area. If you’re interested in collaborating with us for your next event, please don’t hesitate to contact our dealership, located in the heart of New Rochelle, NY.